TUESDAY, Sept. 25, 2018 (HealthDay News) -- Black women are more likely than white women to skip important hormonal breast cancer treatments, new research indicates. Endocrine therapy is used to add, block or get rid of naturally occurring hormones like estrogen and progesterone that trigger certain types of breast cancer, the study authors explained. Previous studies have shown that 10 years of endocrine therapy reduces the odds for disease recurrence. "This study provides evidence in a large, racially diverse cohort study that black women with hormone receptor-positive breast cancer experience unique barriers to endocrine therapy adherence," said study author Stephanie Wheeler, of the University of North Carolina School of Public Health. This may lead to poorer outcomes, she added. In the United States, even though black women are less likely to develop breast cancer than white women, they are 40 percent more likely to die from it, the researchers noted. For the study, the researchers examined data on 1,280 women who said they were prescribed endocrine therapy. Almost half were black. 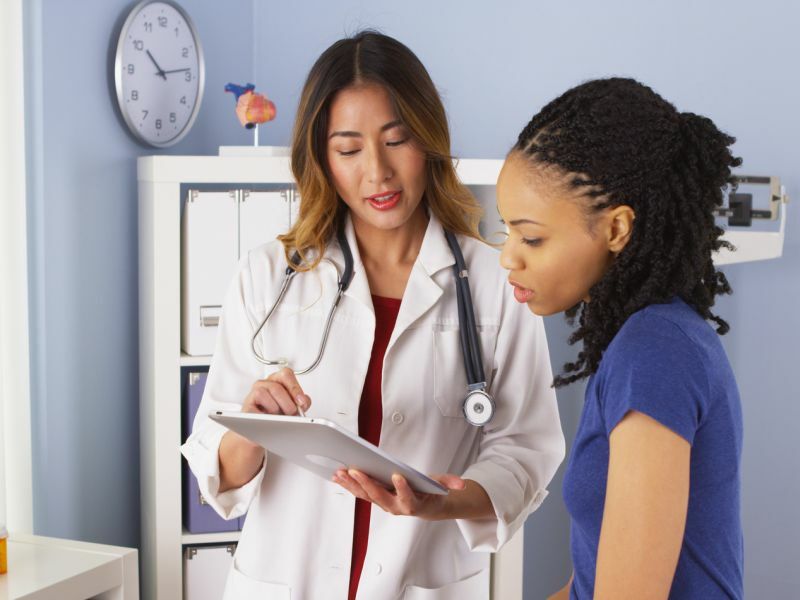 Overall, 24 percent of the black women reported not taking their endocrine therapy drugs as often as they should. This was true for just 16 percent of the white patients. Also, 14 percent of black women reported not taking their pills every day, compared to 5 percent of whites. Younger women, those on Medicaid and those making less than $50,000 a year were also less likely to take their pills as often as they should. The reasons varied, according to the study in the Sept. 20 issue of the Journal of the National Cancer Institute. More than one-quarter of black women said they found it difficult to stick to their treatment plan, compared to 14 percent of white women. More blacks than whites said they forgot to take their pills while traveling. More black women also said they cut back on their pills to reduce costs or forgot to take their medication. In addition, side effects led one-quarter of black women, but just 16 percent of white women, to skip doses, the study found. "These data are important," Wheeler said in a journal news release. They shed light on possible ways women with breast cancer can achieve better results, she added.